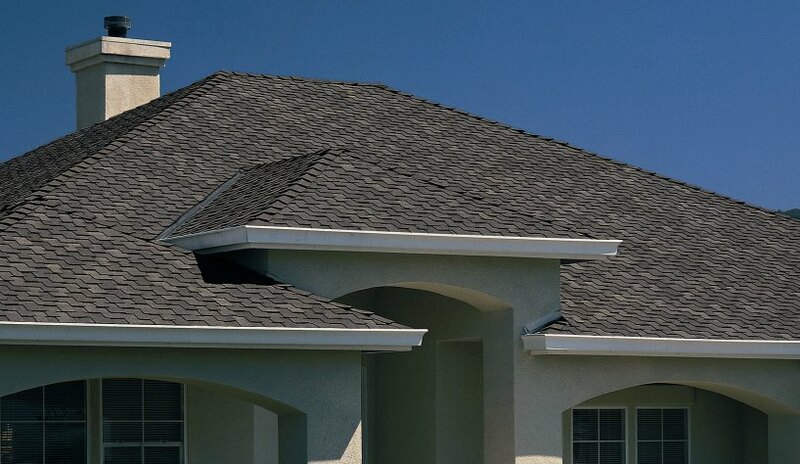 This roofing shingle will give you the look of a wood roof with the efficiency of a cool roof. Designed to replicate the look of authentic wood shakes, Presidential Solaris™ asphalt roofing shingles contains advanced colored granules that reflect the sun’s rays. These roofing shingles feature 25 percent solar reflectivity and deliver the charm of hand-split wood shakes, but with durability and strength that outperforms wood. The rich mixture of surface granules gives an added dimension and maximum definition. You get a brighter, more vibrant, dramatic appearance and depth of color. While white is naturally reflective, Presidential Solaris' innovative technology puts color where white used to be and produces a shingle that reflects solar energy. Presidential Solaris solar reflective shingles form a barrier between the sun and your energy bills with a solar reflective shingle that can reduce your roof’s temperature in the summer. And that means lower energy costs and greater savings over the life of your roof. Presidential Solaris solar reflective shingles are ecologically smart, beautifully durable, and architecturally ideal for sunny climates or anywhere solar heat is a challenge. So cool, it's rated for rebates. Presidential Solaris solar reflective shingles are ENERGY STAR® qualified roofing products that meet both solar reflectance and thermal emissivity requirements. The Tax Relief, Unemployment Insurance Reauthorization and Job Creation ACT of 2010 extends tax credits for energy efficiency into 2011. The new tax credit allows for 10% of the cost of the improvement, up to $500 for insulation, roofs and doors. Presidential Solaris shingles are also rated by Cool Roof Rating Council (CRRC) for cool roofs and meets California's Title 24 requirements for cool steep slope roofing. And some utility companies offer a rebate for Presidential Solaris that can put as much as $300 back into a homeowner’s pocket for an average 3,000 sq. ft. roof.